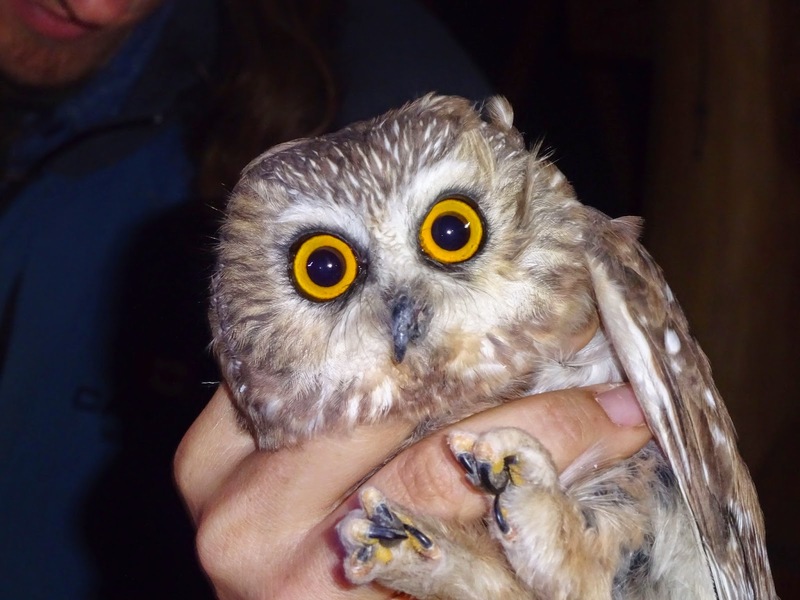 The Intermountain Bird Observatory at the top of Lucky Peak north of Boise is conducting research on owls. Northern Saw-whets are migrating now. 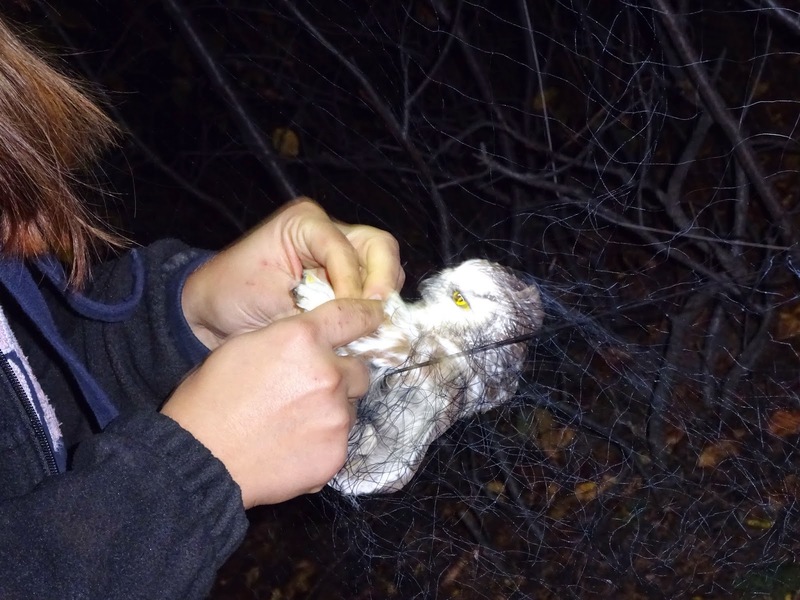 The owls are caught in nets and then banded, in hopes they will be captured again to follow up on their health status and location. Look closely at the bird above. Its beak is deformed, or has been damaged, and a talon on each foot is also misshapen. Even so, this bird is several years old and is thriving - based on its healthy level of body fat. The owl below was a surprise to the banders. 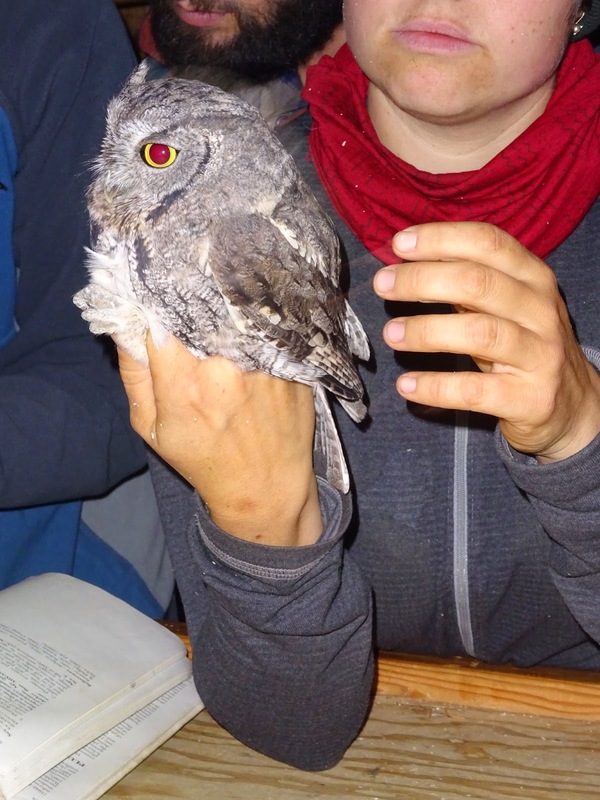 It's a Western Screech Owl. They normally hang out in river valleys, not in the mountains. 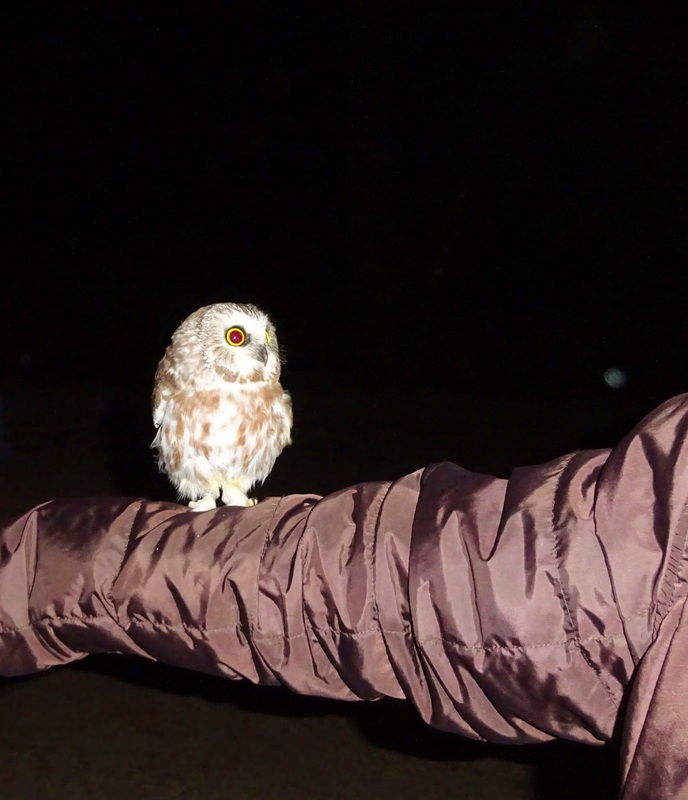 It's also not likely this owl was migrating. They tend to stick around in all seasons. 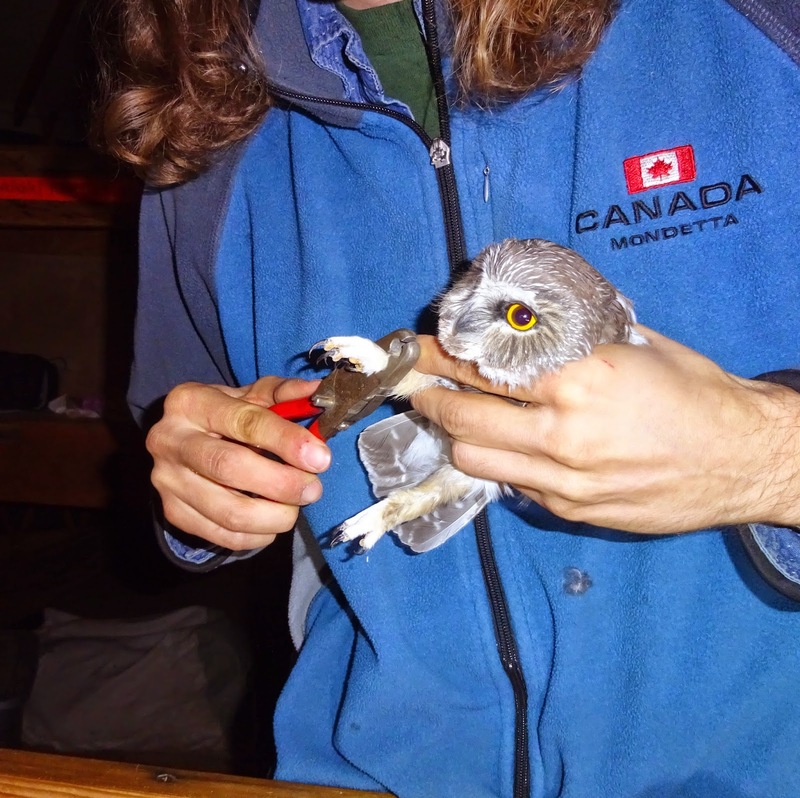 Both the Saw-whets and the screech owl are as soft and silky as they look.